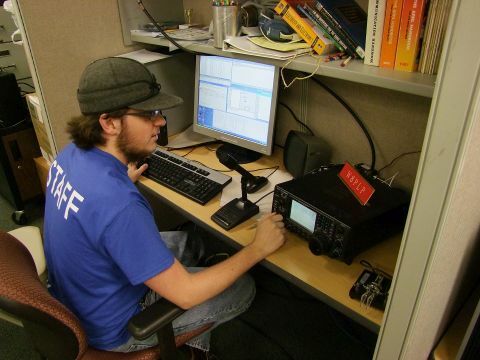 Matt Miller (KD8OOS) shown operating the club station. 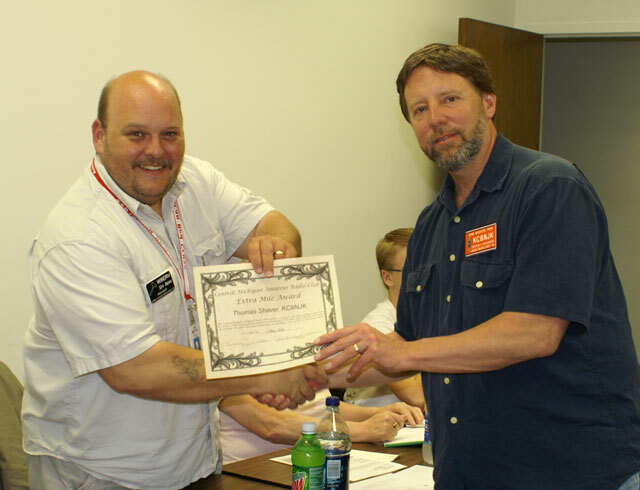 Joining The Central Michigan Amateur Radio Club (CMARC) and/or the Lansing Civil Defense Repeater Association (LCDRA) is easy. For your convenience, we have included application forms for both CMARC and LCDRA right here on this page. 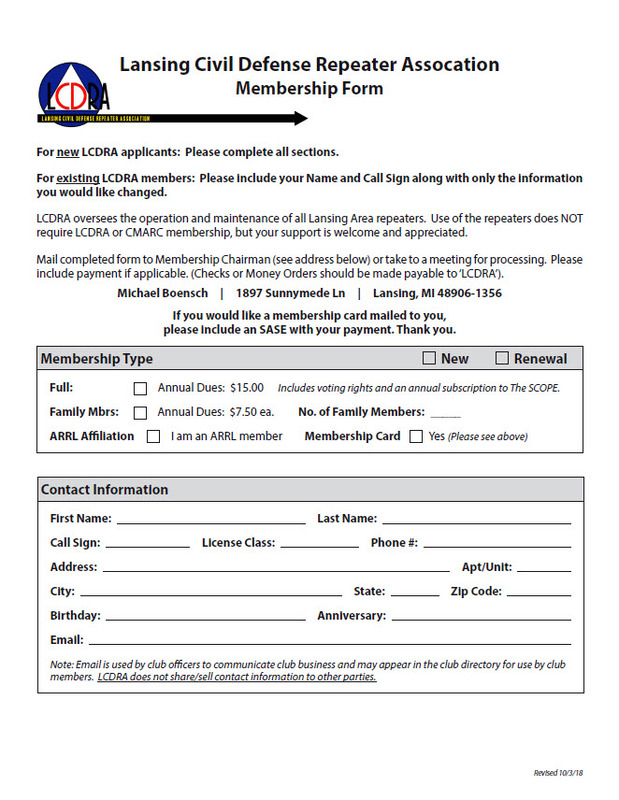 Simply download the appropriate form, fill out the form, and either bring it to a future CMARC or LCDRA meeting, or mail it in. It's that easy. 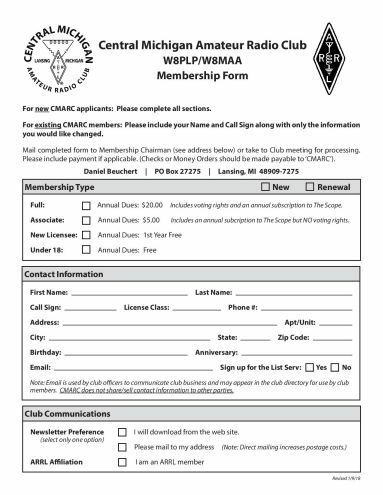 Annual membership for CMARC is $20 for Full Members (must be licensed by the FCC, with a current callsign) and $5 for Associate Members (unlicensed individuals who wish to support the Club). All newly licensed Amateurs are eligible for one free year of CMARC membership (you must request this within 30 days of receiving your CSCE) and those under the age of 18 are also eligible for free membership! Included in CMARC annual dues is a monthly copy of our Club Newsletter, “The SCOPE”, which you may receive by email, by snail mail, or by clicking on “Scope (Club Newsletter)” under “About Us”. As a Full Member, you also have voting rights, so be sure to opt for Full Membership if you are licensed. Every member's vote counts!